Doreen Green has a secret. To the world, she's just an average computer science major with a fantastic badonkadonk, who still uses the word badonkadonk. 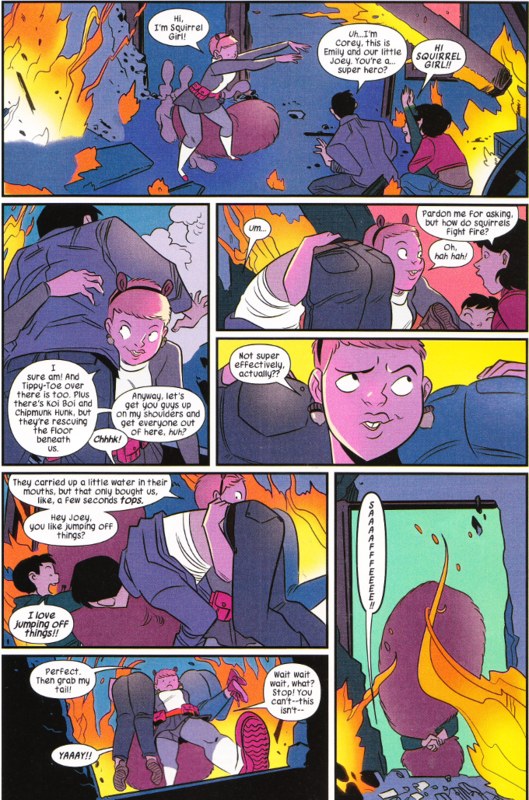 But whenever people need help, Doreen Green becomes Squirrel Girl - a superheroine with all the powers of a squirrel and a girl! Also, she can talk to squirrels and understand them when they talk back. And most of the time they'll do what she tells them. Not because she commands them or anything - they just really like her! The Unbeatable Squirrel Girl is back and not a moment too soon. This is one of the most hilarious books on the market but Ryan North also instills a sense of innocent fun that is sorely lacking in most modern comics. 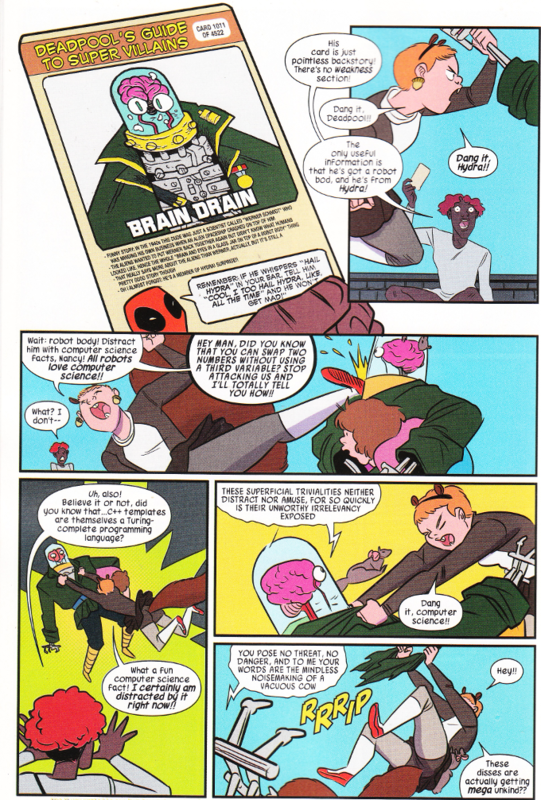 This is a comic that knows how silly The Marvel Universe can be and revels in the sheer insanity of villains like Brain Drain. On that note, Marvel really needs to market a line of Deadpool's Guide To Super Villains flashcards. The artwork is well matched to the writing. Erica Henderson has a cute style and an acute ability for depicting the ludicrous action of North's scripts. The color palettes utilized by Rico Renzi are well chosen. And Joe Morris does a fine job on the Deadpool Guide card this month.